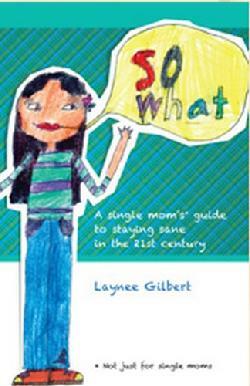 So What: A Single Mom’s* Guide to Staying Sane in the 21st Century (*Not just for single moms) is a light, inspiring read full of practical survival tips for parenting in the modern era. In an engaging and entertaining style, Laynee combines her varied experience as a mom, professional counselor and organizational manager to deliver a powerful, succinct message that speaks to parents of any generation. After reading this little gem, the words So What are certain to elicit a smile... and a refreshing new attitude! For bulk orders, 40% off and no shipping charges within the U.S. I received this book in the mail and read it from front to back that same night. It made me feel inspired to have a new outlook that I do not have to be a perfect parent - after all, who really is? It reminds me to do what I feel right in the raising of my child and to not let the "guilt" from others bring me down. We are all trying to be super-parents, and that means something different to everyone. This book really puts it all into perspective and I plan to read it every time I start to get down on myself about not being the perfect parent. Strongly recommended for every parent out there - single or not!